There was a panel discussion about Lost at PaleyFest for the 10th anniversary of the premiere of the show. During the discussion, some great questions were asked, and we finally have some solid answers to questions people were asking at the end of the show. They haven’t given us all of the answers, but I remember discussing some of these the very night that the show aired its’ series finale. Here are some of the answers from executive producers Damon Lindelof and Carlton Cuse. You can also follow the link below to the rest of the story, for more answers. I’ve just collected a few of my favorites here. Wasn’t Jack supposed to die in the pilot? DAMON LINDELOF: Yes. The idea was to cast an actor and have them on all the billboards, and say that he was going to be the star of the show and do all of the press for the show, and then, we were going to kill him in the pilot. You could never pull that off now, in 2014, but in 2004, the spoiler culture is not what it is now, so we could have pulled it off. There were executives at ABC who said that the audience would really start to care about the character, so if we killed them in the pilot, they would never trust us again and they would never form emotional bonds with other characters because we broke that trust. It ended up being a great note. They were not dead the entire time, right? CARLTON CUSE: No! They were not dead the entire time. ABC thought it would be great to have a buffer between when the show ends and when we go into the first commercial, so that it didn’t just slam into a Clorox ad. They asked if we had any footage that they could quietly play, but we didn’t just go shoot random footage for the show. We went through our archives, but there wasn’t a lot of shots. We had put the plane on the beach in the first year of the show, but then we had to take it off of the beach because the tides on the North Shore in Hawaii change dramatically and the plane was in danger of getting washed away in the winter. So, before we took it away, we took some shots of the plane wreckage and we thought, “Let’s just put those at the end of the show, and it will be that little buffer before we go to commercial.” And then, when people saw the shots of the plane and there were no people there, that exacerbated the problem. How did you come to the conclusion that these characters all met in the afterlife? 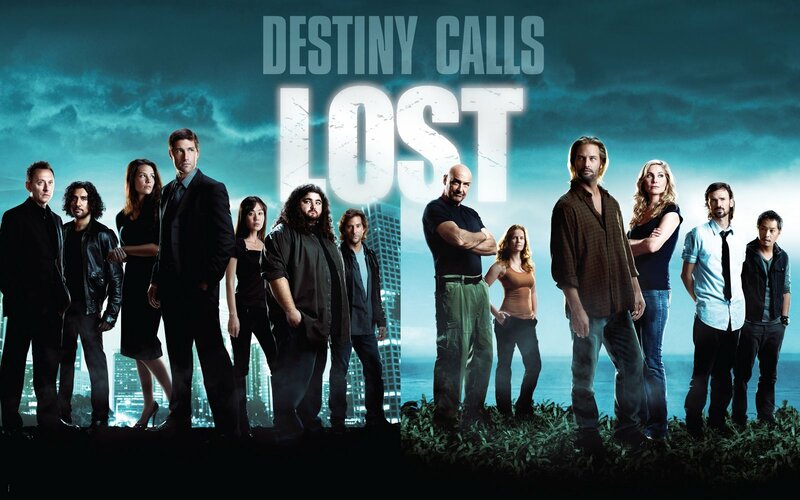 CARLTON CUSE: Very early on, we had decided that Lost was a show about people that were on an island in the middle of nowhere, but really it’s metaphorically a show about people who are lost in their lives and who are seeking redemption, and who are looking for meaning and purpose. The more we started talking about the ending, the more it became clear to us that the ending really had to be a spiritual one that talked about these characters’ journey and destiny. It was not a single conversation or a single idea. It was a series of long discussions. Damon and I would have long discourses about the nature of the show, about the characters, about spirituality, what all of our journeys mean, how we’re all here to lift each other up, in our lives. We wanted the show to reflect out own personal beliefs, desires, hopes and dreams, really. DAMON LINDELOF: In the ongoing conversation with the audience, there was a very early perception, even as soon as the pilot, that Lost was some sort of purgatory. And we were always out there saying, “It’s not purgatory. All of these things are actually happening. These people are on this island. They’re going through this experience. This is real. We’re not going to Sixth Sense you.” But at the same time, the audience was perceiving that, and we felt it, too. There was the idea that the show had to be meta, in this way. Writers have a tendency to get very pretentious when we’re amongst ourselves, and we started saying, “Obviously, there are all these mysteries that are surrounding the show. Wouldn’t it be great, if in the final episode of Lost, we could try to answer a mystery that the show never asked, like what’s the meaning of life and what happens when you die?” That conversation started in the space between Seasons 3 and 4, as we were plotting out the end game. We knew that Season 4 was going to be flash-forwards, and that in Season 5, the island was going to be moving and shifting around in time, and it was going to be a wild card season. But, we didn’t know what we were going to do in Season 6. We were out of flashbacks, and we’d run dry on flash-forwards, and we wanted to be living in present time. So, we had the idea to Trojan horse a paradoxical time travel story, based on the fact that Juliet hits this bomb and resets a world where Oceanic 815 never crashes, but in fact, it was going to be this afterlife parable. We all got very, very excited about it, and just engaged.